We specialize in the sales, installation & service of the state-of-the art digital surveillance systems. 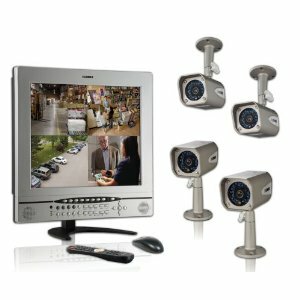 Let us help you with your CCTV and IP Video needs. We feature full-color digital cameras and recorders that offer superior image quality, low maintenance, and even an option for world-wide internet access for remote video viewing. Our security systems help to protect numerous high security facilities and installations and we bring that same expertize to each and everyone of our projects. No matter if your concerns are big or small we can provide you with a state of the art security system that is easy to use and priced competitively. Our CCTV and IP Video system design experts can configure any size surveillance system to meet your security needs and budget. We can design surveillance systems that utilize standard overt cameras that also act as visible deterrent. Or a system that uses covert camera for a less unobtrusive yet very effective surveillance system. We can also design a hybrid surveillance systems that effectively utilize both standard cameras and covert cameras.